Oh McDonald's Singapore how you tempt me. 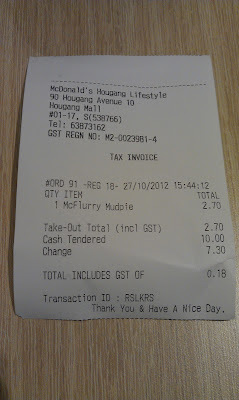 Friday 26 October was a public holiday, but since I took the previous Monday off, I went in for a half-day, after work I took a leasurely walk from our office near Tanjong Pagar, to Dhoby Ghaut. 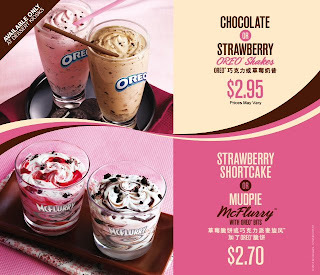 When I was about to get back on the train to head home for the evening I noticed the new ice cream items being promoted at the Dessert Kiosk (as yet again, the official webpage made no mention of it). 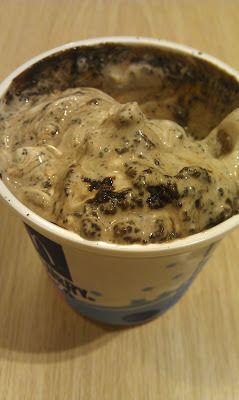 Even though I just did a ~4km of walking outside in the +35 degree weather, the air-conditioning of the mall didn't make me feel like ice cream, that and my girlfriend was flying down from Korea that weekend, so I knew we could try them together. Cut to the next day, and I spent most of the morning cleaning my apartment, and I knew getting out of the flat would be the best way to keep it clean until she arrived. 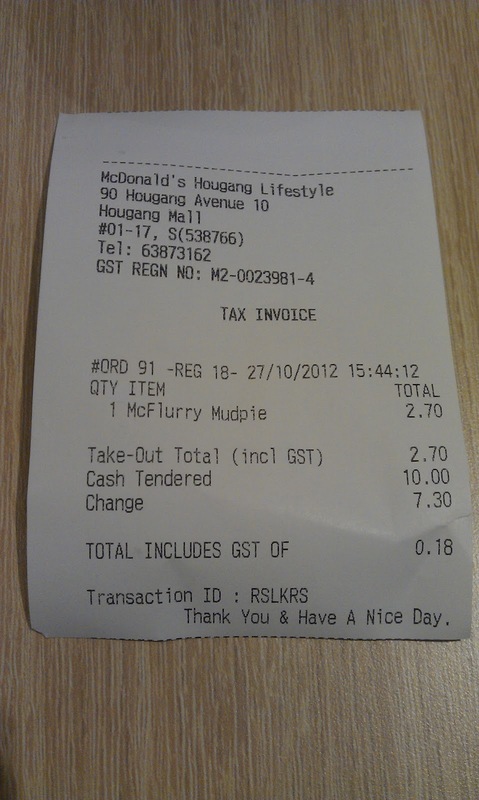 I walked from my place nearly 2km, to the nearest Dessert Kiosk, at Hougang Mall and went for the one I thought would appeal less to my GF, the Mudpie McFlurry. What this is the exact same item available on the standard Korean McDonald's Menu, the 'Choco Oreo McFlurry'. 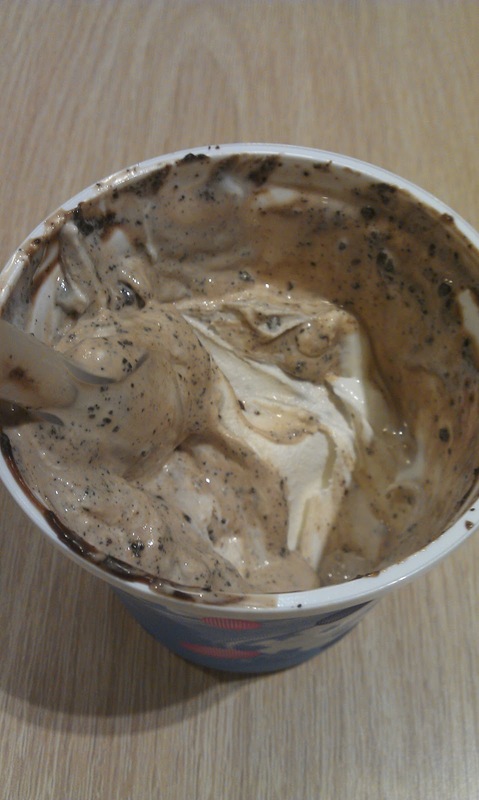 Simply a standard Oreo McFlurry with some chocolate sauce drizzled on the top, nothing else special about it at all. Not sure how they have the nerve to charge a premium over the standard Oreo McFlurry, I only ate half of it before leaving...I really hope the 'Strawberry Shortcake McFlurry' is really more than just the ice cream with strawberry syrup, but I suspect it is. Expect there to be slight delay between this and my next review as I'll be busy here getting my girlfriend settled into her new Singapore life. OMG,plzzz dont try strawberry shortcake..! !its a bloody disgrace,for gods sake! keeping it short,take a mc sundae and add some oreo bits(seriously,mc donalds???wtf!!!) i felt sooo bloody hurt! 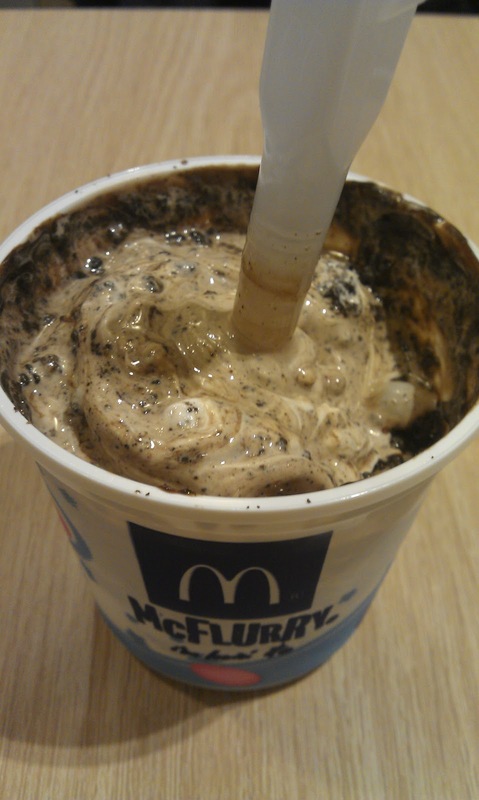 !i come out at 12 in the night looking for some foody comfort ,and THIS,is wat i get...??god. pheww...!